King of Steloo (キングオフステロー) -Tattoo Studio was started in 2000 at Fukuoka, Japan and has been offering quality and affordable work since then. All artists are trained in proper and safe tattooing to ensure safety for all of the clients. 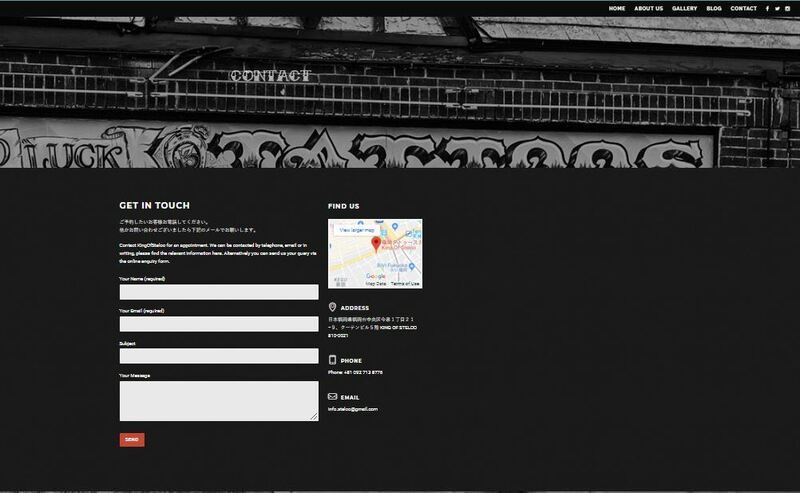 We are happy to have designed their website and hope more people get themselves tattooed! !